12:30 PM to 4:00 PM – Natural Bridge State Park Tour - Landforms as an Influence on Resort & Development Patterns (Lynn Crump, ASLA, PLA and Natural Bridge Staff [Katie Charles, Matthew Jackson, and Victoria Preston]) *This tour will include walking about two miles, transportation by vehicle and riding in a wagon. We have a block of rooms at The Natural Bridge Historic Hotel and Conference Center at $99 a night plus tax. The hotel will extend this rate to nights booked for Thursday, August 23, Friday, August 24, and Saturday, August 25. 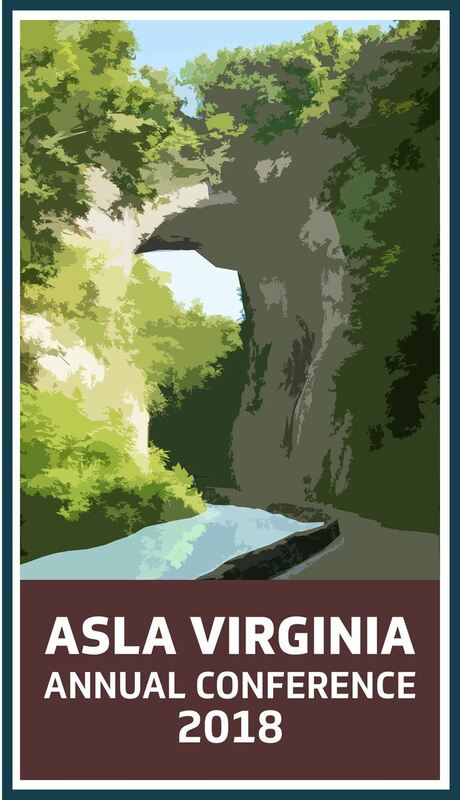 To reserve a room call 540-291-2121 and identify yourself as being with Virginia Chapter of ASLA . NOTE: The Room Block will close on Friday, August 10th. If your company is interested in being an exhibitor or sponsor for the conference, contact our office at admin@vaasla.org. All registrations must be paid in full by Tuesday, August 21 otherwise registration will be cancelled.